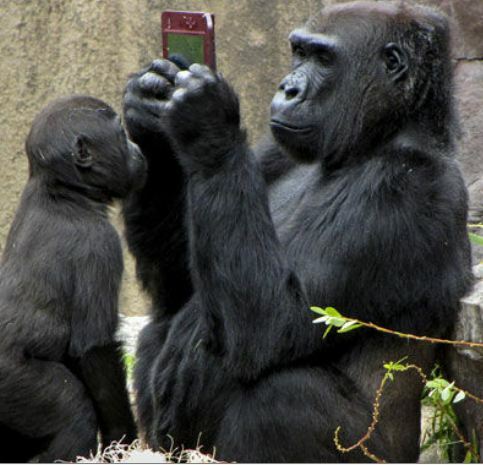 Bawang the gorilla plays with a Nintendo DS games console accidentally dropped into her enclosure in San Fransisco Zoo. Her adopted 20-month-old son Hasani wants a go too. Playing is one thing—but how high does she score?